Researchers have yet to figure out the actual cause of navicular disease in horses. The navicular bone is found in the front limbs. Compression and tension are two possible factors in the development of navicualar disease in horses. 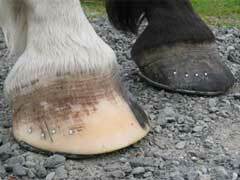 If the horse’s foot is not landing correctly when he walks or runs, the cartilage becomes compressed. 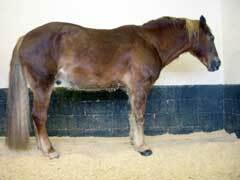 Although not the most common disease to affect horses, Equine Cushings Disease can cause devastating consequences for the health of your horse. Understanding the disease and knowing how to recognize the symptoms can lead to earlier treatment if it does occur and, hopefully, a happier outcome. 1. Thrush – This bacterial infection of the frog-portion of the hoof stems from the collection of manure and debris in that part of the foot. Equine protozoal myeloencephaltis is a serious health concern for horse owners. Although more than half of horses infected with this disease will respond to treatment, about 40% do not and eventually die from the deterioration of their central nervous system. 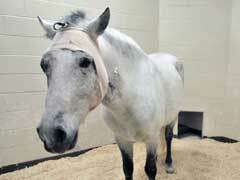 Sadly, only one-tenth of infected horses completely recover from the infection. Learning the equine protozoal myeloencephalitis symptoms can help you get treatment for your horse quickly. 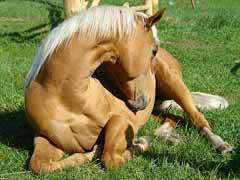 Lame Horse – How To Deal With Equine Lameness? No owner wants to have a lame horse. 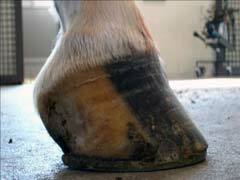 However, equine lameness is a common affliction that can strike for a number of reasons. Understanding those reasons and knowing how to identify the cause can speed up your horse’s recovery. You can usually tell if your horse is suffering from lameness just by watching her movements. 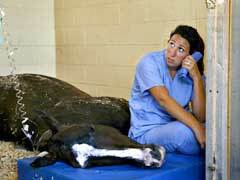 Equine Veterinary – How to Find the Best Horse Veterinarian? 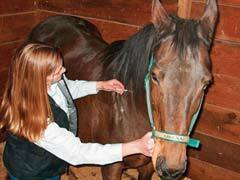 Horses have some unique health issues that require the assistance of someone trained in equine veterinary care. Finding the right vet for your horse is important and can also be very challenging if you don’t know how to go about the process. If you have just recently purchased a horse, you can begin your search for equine veterinarians by asking other horse owners who they recommend. When we think of our horses’ potential health problems, we may think of lots of conditions but probably none of them would fall under the category of equine dentistry. 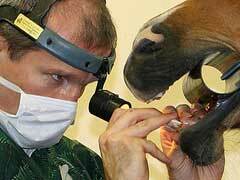 Unfortunately, a horse’s mouth can be a big source of problems when neglected.